What Makes the Mercedes-Benz GLE Coupe a Top Choice for Orangeville and Greater Toronto Area Drivers? Enhanced with AMG® power and brimming with comfort and safety features, the 4-door Mercedes-Benz GLE looks like an SUV but performs like a coupe. With so many unique and exciting strongpoints, we’re confident drivers in Georgetown, Caledon, Halton Hills, and Orangeville will find plenty to love inside the GLE. 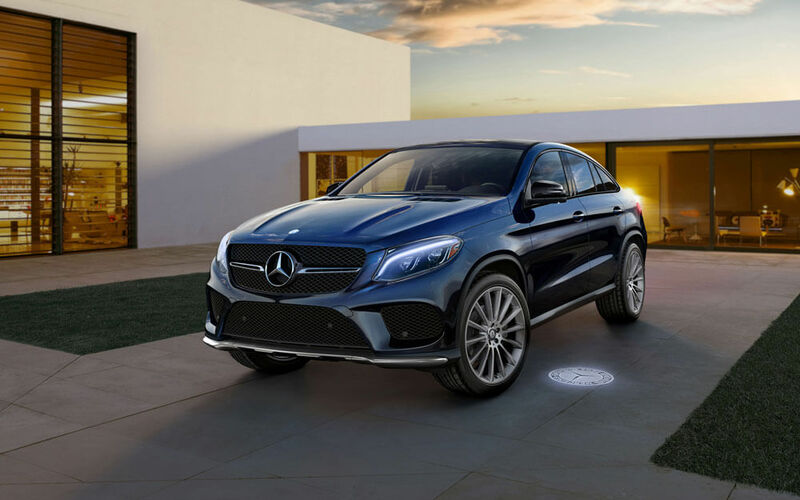 Read our overview, then stop by Mercedes-Benz Brampton in the Greater Toronto Area to get acquainted with a 2017 Mercedes-Benz GLE Coupe today. Stylistically, the GLE family closely resembles its G-Class SUV siblings; under the hood, however, lies power and handling technology indicative of Mercedes-Benz coupes. Delivering 362 to 577 hp, both models get their own AMG®-enhanced turbo engines, which come connected to a 9-speed automatic or a 7-speed AMG® SPEEDSHIFT® PLUS transmission. Shift paddles are linked to both transmissions, and can be found behind the upper steering-wheel, allowing for seamless upshifting and downshifting. What’s more, the standard ECO Start/Stop system enhances the fuel-efficient performance of the GLE engines and transmissions with automatic engine shutoff during idle periods. The Mercedes-Benz GLE coupe family’s breezy performance is sweetened by AIRMATIC® air suspension and an Adaptive Damping System. Comprised of electronically-controlled air springs, AIRMATIC® harmonizes precision and comfort. Automatic 4-wheel level control adapts to varying road conditions, depending on passenger and cargo capacity, and even lowers the GLE at high speeds for smooth performance and handling. The Adaptive Damping System selects one of four damping profiles for each spring-strut, according to the up-down travel of each wheel. Standard on the top-tier AMG® GLE63 S coupe, ACTIVE CURVE SYSTEM® uses flexible electrohydraulically variable stabilizer bars to assist with cornering. Strategically armoured with ultra-high-strength steel and lightweight aluminum, the Mercedes-Benz GLE coupe relies on its uni-body design for reliable passenger safety. Front and rear crumple zones absorb and evenly distribute crash energy, while nine airbags, 3-point seatbelts with ETDs, ad NECK PRO front head restraints help mitigate accident severity. COLLISION PREVENTION ASSIST PLUS® and PRESAFE PLUS® detect impending collisions from the front or rear, and initiate Automatic Braking Assist, tighten seatbelts, close windows, and more. The GLE also includes a standard rearview camera for safer parallel parking, a Night Security Illumination system for added peace of mind at night, and Trailer Stability Assist for improved stabilization. Crafted from hand-finished wood and available Nappa leather upholstery, the interior of the 2017 Mercedes-Benz GLE coupe promises a laidback ride for up to five passengers. A dual-zone automatic climate control system houses separate temperature settings for drivers and front-seat passengers, while the infrared opening/closing button on the SmartKey remote controls the windows and sunroof from afar. The 10-way power sport seats in the front include a tri-level heating function, as well as a memory system that stores three seat positions. The GLE is as spacious as it is comfortable and luxurious. With its 60/40-split rear seats folded down, the GLE offers a roomy 1,718.8 litres of cargo space. Orangeville and Greater Toronto Area drivers will appreciate the cargo area’s array of features, including a side parcel net and a retractable luggage cover. Inside the GLE, multiple sources of information and entertainment are at your fingertips or are accessible via the voice control feature. The 203.2-millimetre COMAND® display with a touchpad controller allows drivers to place and answer calls handsfree using the Bluetooth®* interface. The in-dash DVD/CD player and SD card-reader make listening to your favorite music a breeze, while the COMAND® hard-drive navigation system keeps you on track mile after mile. Capable of accommodating four devices at a time, the available in-car Wi-Fi hotspot is easily managed via the COMAND® screen, letting you and your passengers stay connected on the go. The AMG® GLE 43 4MATIC® COUPEfeatures 362 hp, 384 lb-ft torque, 3.0L biturbo gasoline V-6 engine, with a 13.6/10.2 L/100km fuel economy. Featuring an AMG® 5.5L biturbo V8 engine, the AMG® GLE63 S Coupe doles out 577 hp and 561 lb.-ft. of torque, and accelerates from 0 to 97 kph in just 4.2 seconds. Sport-tuned Direct-Steer and ACTIVE CURVE SYSTEM® enhance cornering, while the AMG® sport exhaust system emits a V8-fueled growl with each rev. Get Yours at Mercedes-Benz of Brampton! 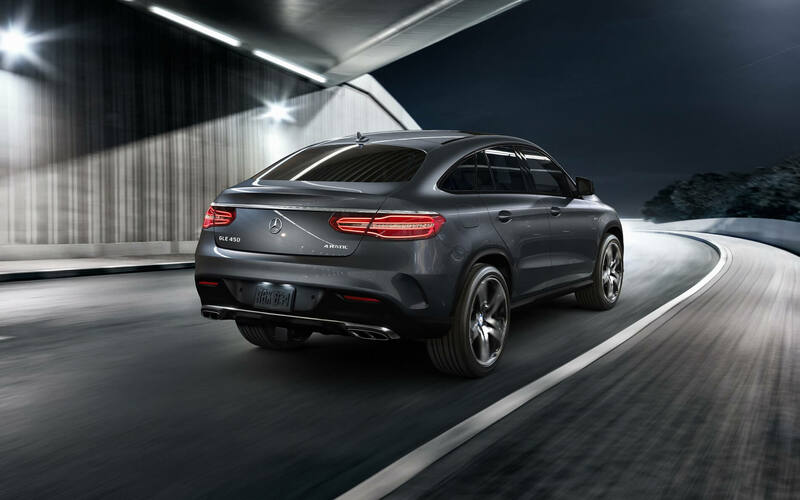 Offering a comfortable ride with ample power under the hood, the Mercedes-Benz GLE coupe is a great choice for shoppers in Orangeville, Caledon, Halton Hills, and Georgetown. To see what the GLE Coupe family is capable of, visit Mercedes-Benz Brampton in the Greater Toronto Area. If you have questions about the GLE, or wish to book a test drive, contact us Monday through Saturday!